Home Trending News Celebrity Baahubali Prabhas To Marry Chiranjeevi’s Niece Niharika Konidela? Prabhas To Marry Chiranjeevi’s Niece Niharika Konidela: Bahubani the Prabhas undoubtedly a good looking most eligible bachelors of T-Town. As rumored is going to marry Chiranjeevi’s Niece Niharika Konidela. After the success of Rajamouli’s Baahubali series. 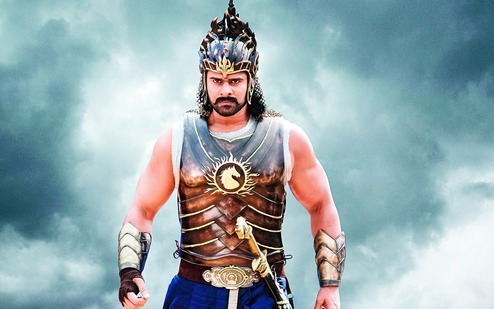 Prabhas’ popularity has undoubtedly reached new heights. His incredible talent and good looks makes him one of most demanded actor and bachelors of T Town.This is why fans not even miss a single chance to talk about Prabhas. But this time girl is no other than Chiranjeevi’s Niece Niharika Konidela who’s name is rumored to be attached with Prabhas. Earlier, there had been rumours that the actor was dating his Baahubali co-star Anushka Shetty and the 2 would get engaged by the end of this year.However, he later rubbished all such rumours . Now, the new buzz is that Prabhas may get married to veteran actor Chiranjeevi’s niece Niharika Konidela. But unfortunately, this time again, this too is untrue. Veteran actor Chiranjeevi, in an official statement, confirmed that there was no truth to Prabhas-Niharika’s marriage rumours. “Our family wants Niharika to focus on her career and currently, they don’t have any marriage plans for her,” actor said in a statement obtained by Zoom Tv.